Woot! Maerose here. 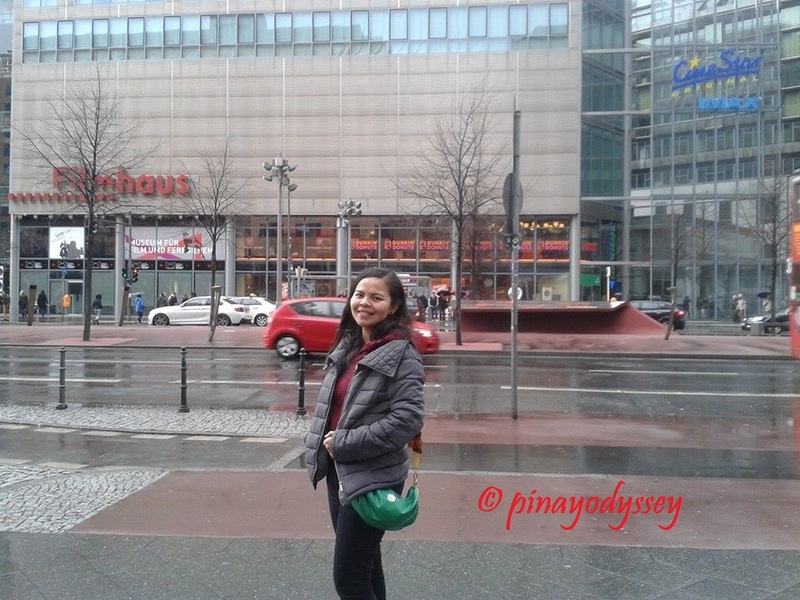 Here’s the continuation of my escapade in the city of Berlin. 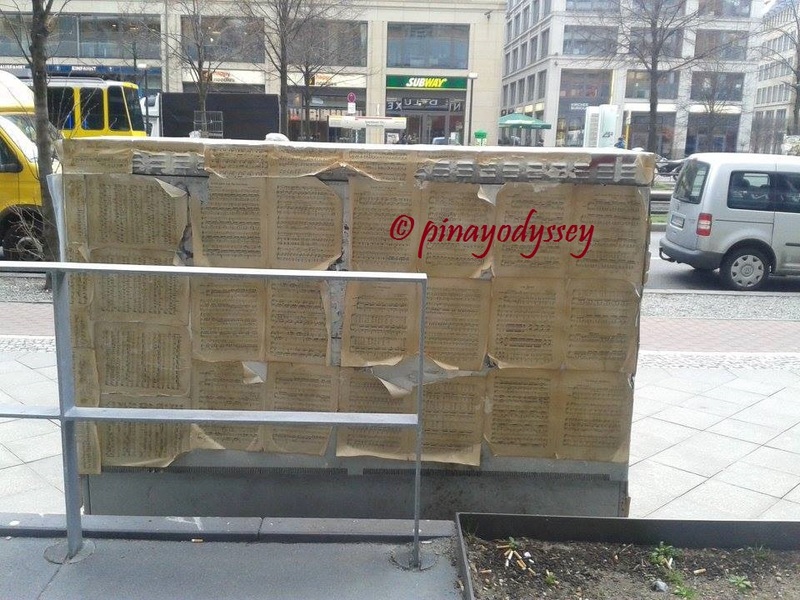 The Bradenburger Tor and the Berlin Wall, particularly the East Side Gallery, are not the only must-sees in the city. Needed to say, the attractions are actually located quite far apart from each other. Thus, one needs to have plenty of energy to roam around. 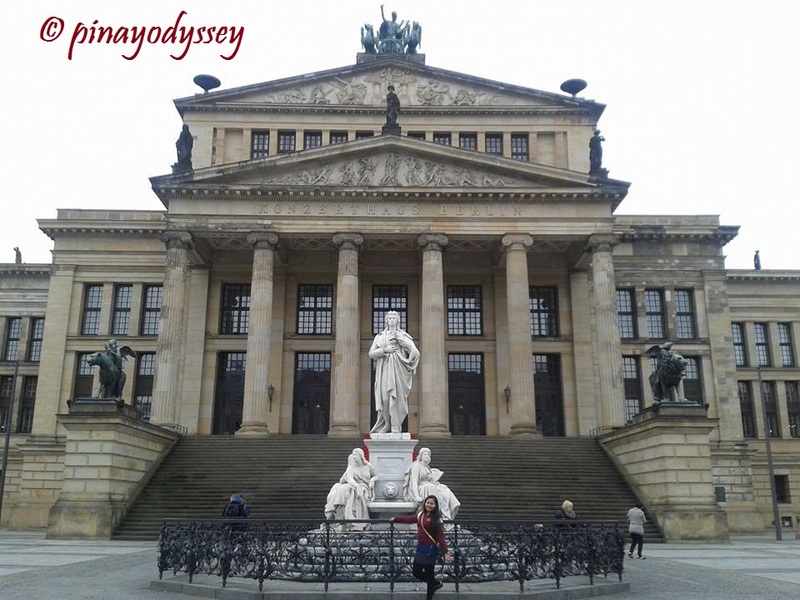 As I have said before, Berlin demands to be explored and studied to be completely appreciated. It is teeming with both historical and cultural features, and it’s not enough that a visitor just stare at them to gauge their value. 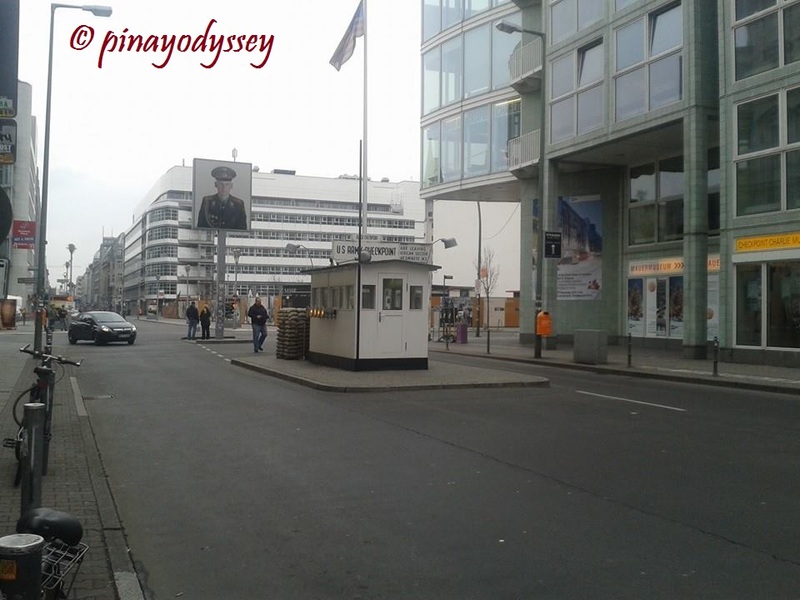 One of the first spots we visited is Checkpoint Charlie. Sounds American, eh? It was named by the Western Allies, and it refers to the most important crossing between the East and the West Berlin during the Cold War. 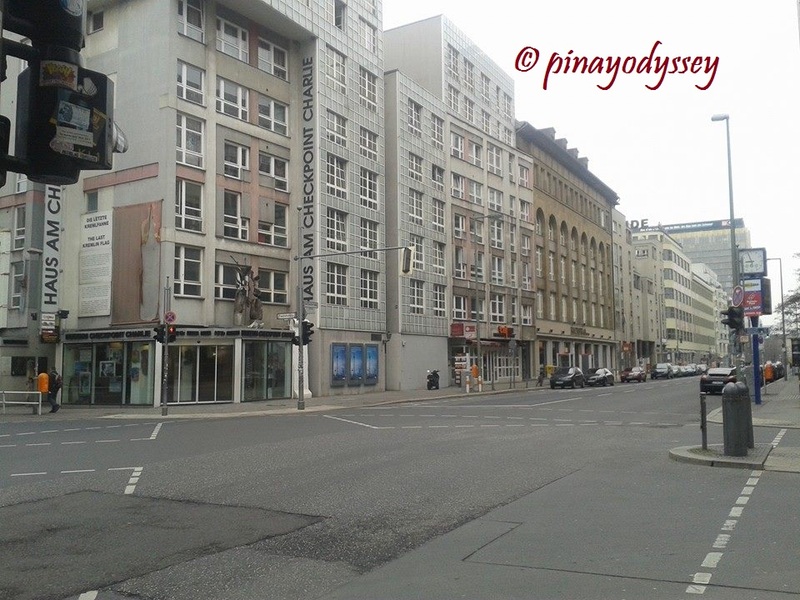 Located at the junction of Friedrichstraße with Zimmerstraße and Mauerstraße, the checkpoint had been a symbol of the divide of the country. Many incidents had occurred by the wall near the checkpoint, including deaths of individuals trying to escape to the West. 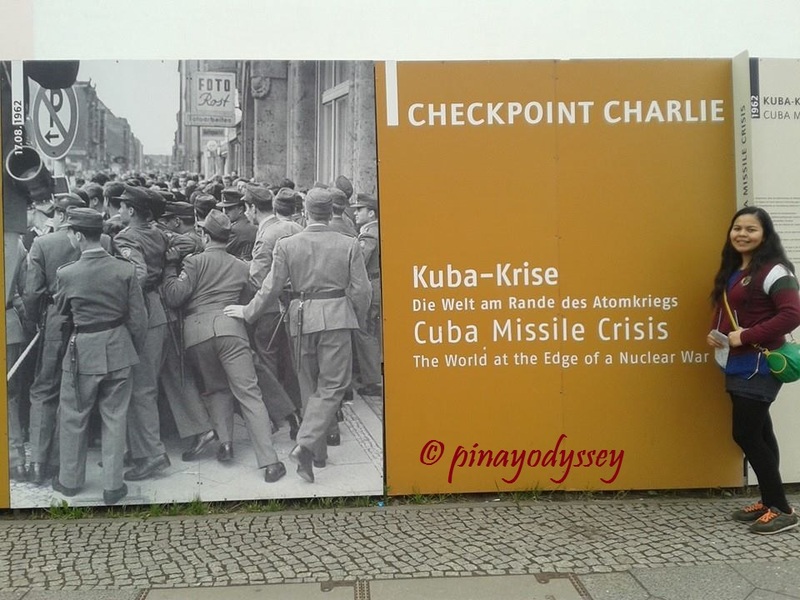 Located in the checkpoint is the Haus am Checkpoint Charlie, a museum founded by human rights activist, Dr. Rainer Hildebrandt, and contains exhibits all pertaining to the “best border security system in the world.” If you want to read more about the crossing, please visit: Checkpoint Charlie. 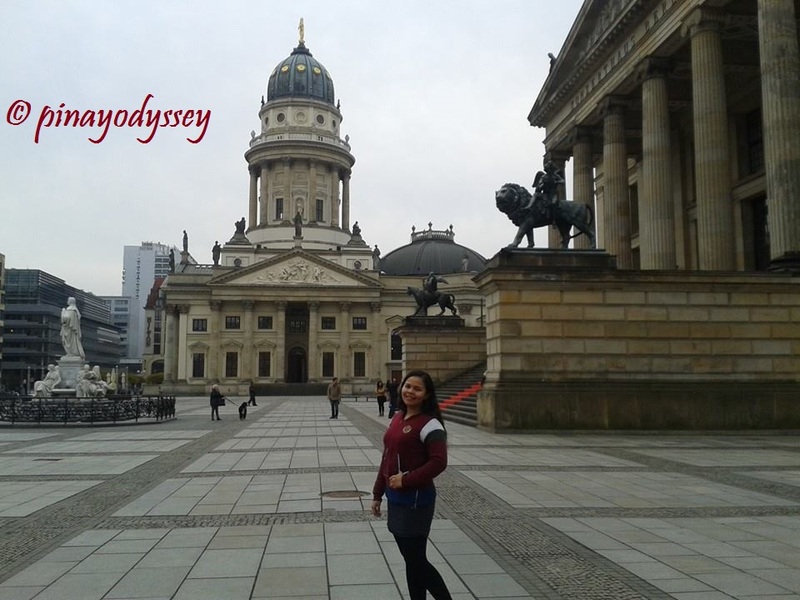 My sister and I decided to walk further down the road until we reached the Gendarmenmarkt square, where the Konzerthaus Berlin is located. The concert house was built from 1818 to 1821 and has undergone name changes through the years. The current name was first used in 1994. According to wikipedia, the concert house is considered one of the five best concert venues in the world for music and opera. 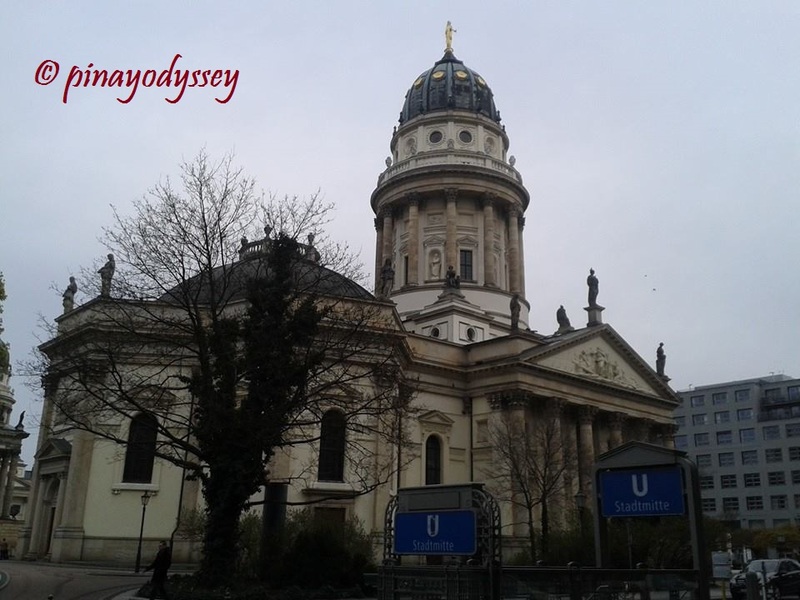 Another remarkable architecture in the square is the Deutscher Dom or the German Church., which dates from the 1700s. 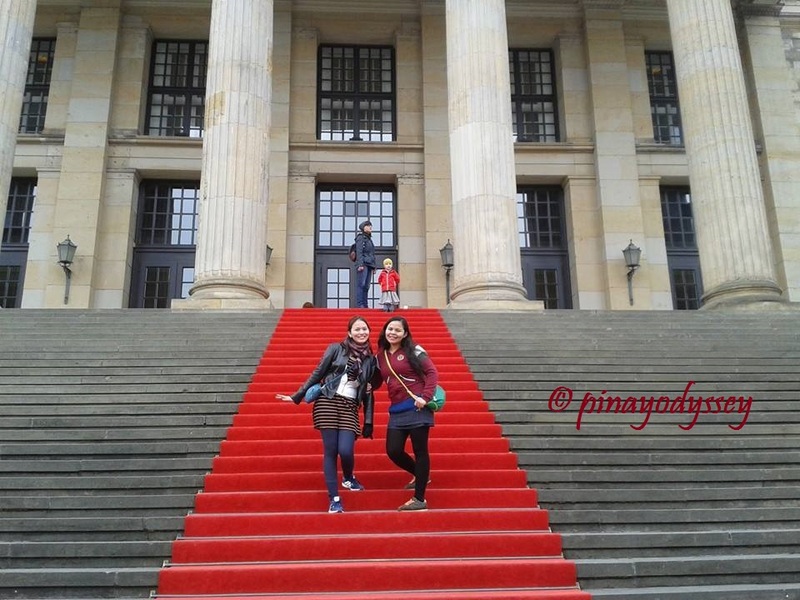 Walking further, we reached the Museum Island located in the River Spree. There were too many people there, and the weather was very gloomy so we didn’t spend much time there. 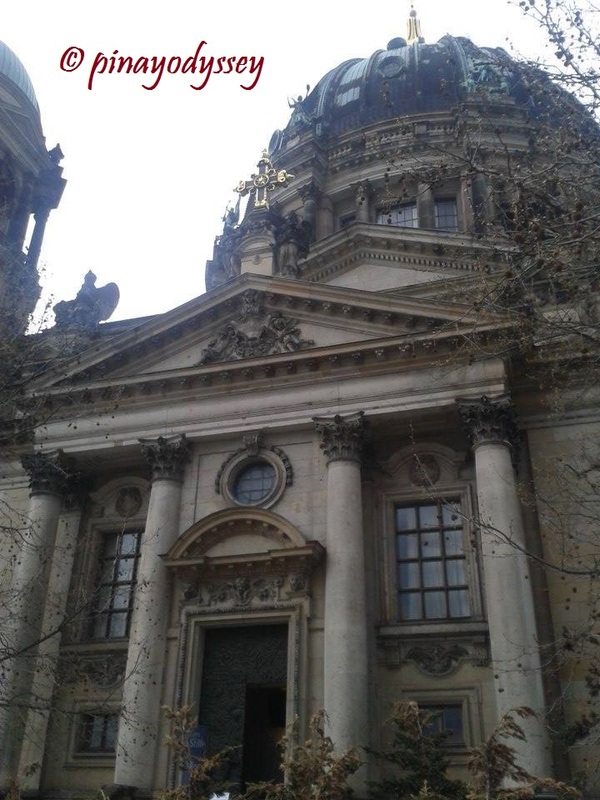 But I did manage to capture a photo of the Berlin Cathedral, or the Evangelical Supreme Parish and Collegiate Church. It is a mixture of Renaissance, Brick Gothic, Baroque, Neo-classical and Neo-Renaissance architectural styles. The building started in the 1400s and was completed in 1905. How cool is that? 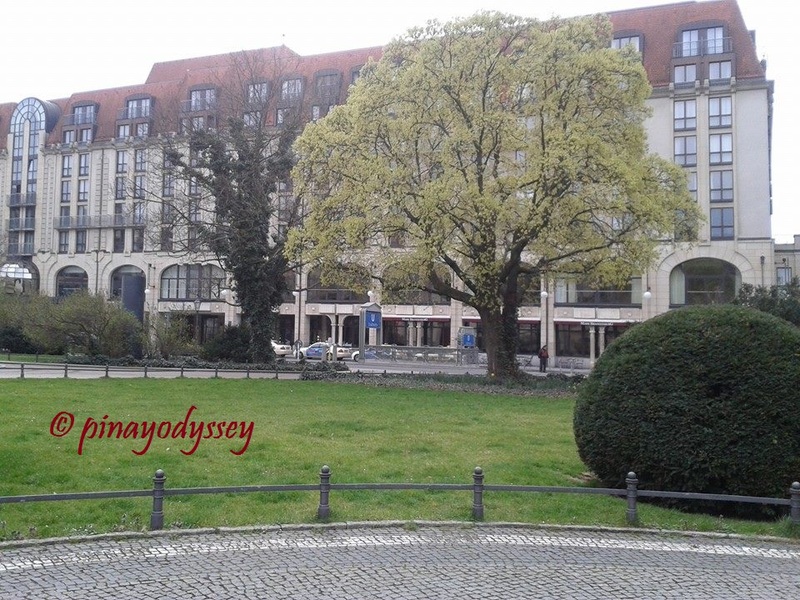 Before the rain finally poured down, we rushed back to the hotel to get ready for a visit to Madame Tussauds wax museum and the Berlin Dungeon. More about the two attractions in my next entries. 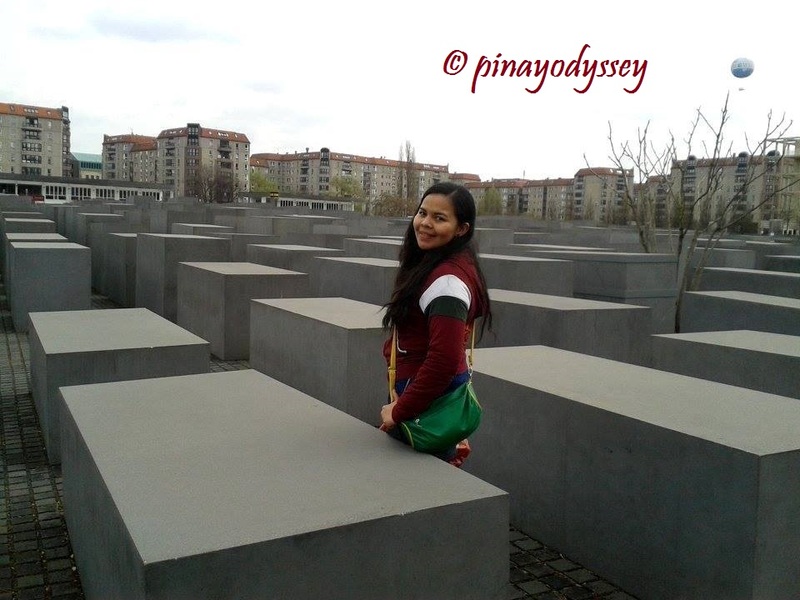 😉 On our way, we passed by the Memorial to the Murdered Jews of Europe. Designed by architect Peter Eisenman and engineer Buro Happold, the 19,000 m2 was covered with 2, 711 concrete slabs. 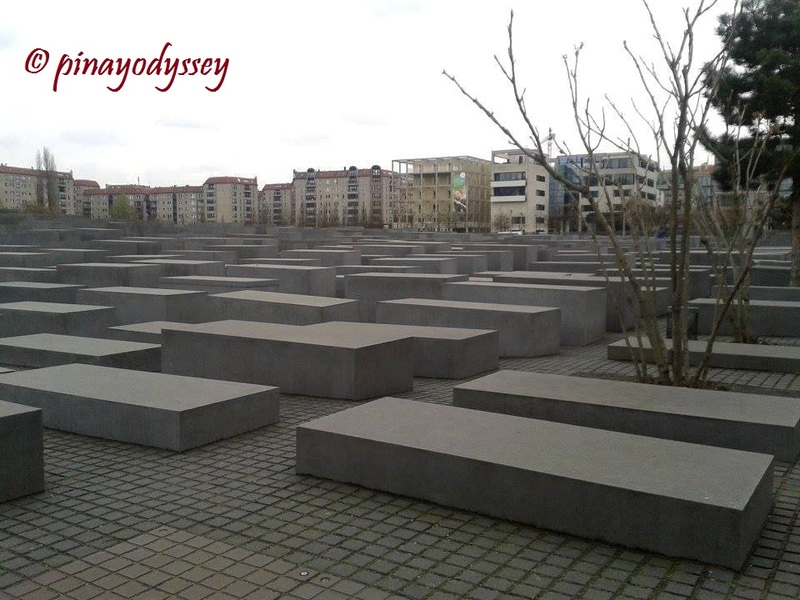 Built from 2003-2004, the site became open to the public in 2005, 60 years after the end of WWII. I had mixed emotions about the memorial. I just found it to be disturbing that many died because of one man’s false idealism. However, I guess it’s alright to move on now from the terrible past and focus on the good things. At least try to, considering the many wars still going on in many parts of the globe. Berlin offers a contrast between the old and the new. Although many Germans express distaste against the modernization and commercialization of many of their cities, it is inevitable that change is on its way. 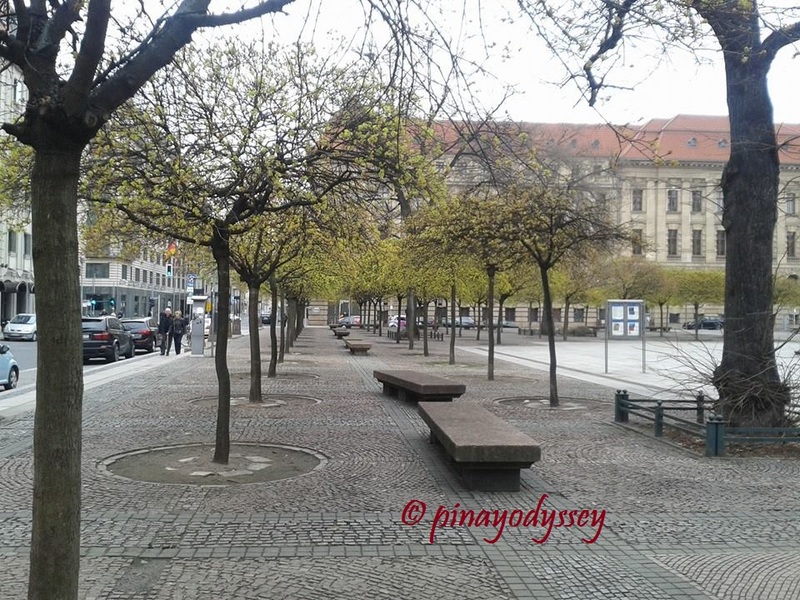 If you want to get a glimpse of the modern part of the city, try going to Potsdamer Platz, a public square and traffic intersection. 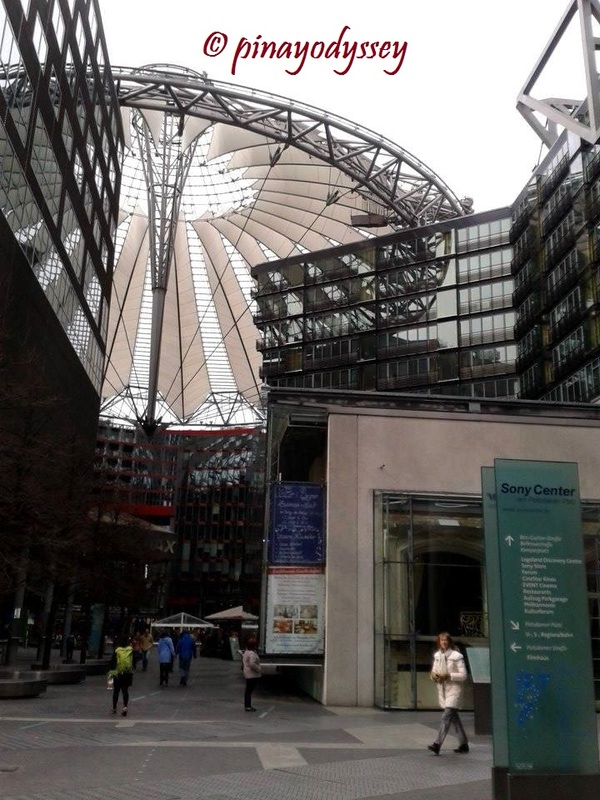 You’d see modern buildings and many restaurants and shops in the plaza, including the Sony Center, which was the last thing we saw on our way back to the hotel. So there! Some of the must-see attractions in the grey city! There is still more to visit, and I’d continue on the next entries. For now, I am really exhausted and just want to relax. ❤ Hopefully, this long and assuming week will come to past soon! 🙂 Thanks and hugs!